I am not sure why we call French beans as Baguio beans back in the Philippines, maybe because it only grows there? Or majority of comes from that region? Baguio for those who doesn’t know where or what it is, is a place in Philippines where good vegetables and fruits grow thanks to its cool climate. Having said that most of the vegetables sold in the Luzon Island come from this region, I still remember early hours in the morning back in Manila you see lots of delivery trucks coming from Baguio delivering fresh produce in wet markets. These early hours in the morning is also the most preferred time of housewives to shop in the market as they will be able to pick the best of what’s freshly delivered. Baguio is not only known by its fruits and vegetables it is also known as the summer capital of the Philippines. People love visiting this place starting from March up to May to escape the hot and humid weather in Manila. I spent my 2 years of University life there, it is a very nice place, green and flowers everywhere, no traffic, air is clean, food is fresh and cheap, climate is the best you can get in the Philippines and the quality of life was great. It’s a really nice place to go to so if you visit my country in the future put this in your itinerary and while there try to check out interesting places near Baguio like Sagada, Banaue Rice Terraces and Beaches of La Union. Going back to this dish, I guess this is one of the popular vegetable dishes in the Philippines mainly because it’s one of the quick and easy to prepare and the ingredients are also simple and cheap. In a wok add oil and sauté garlic and onion in high heat. 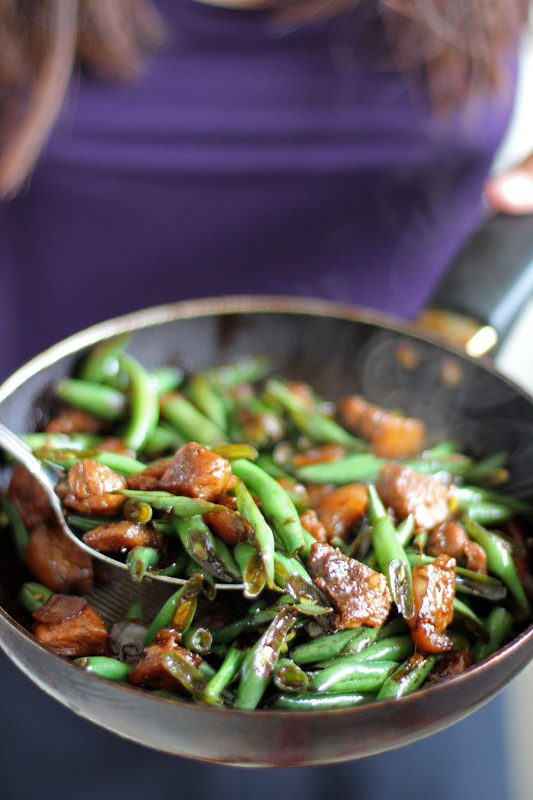 Add pork and stir fry until cooked and brown and crispy. 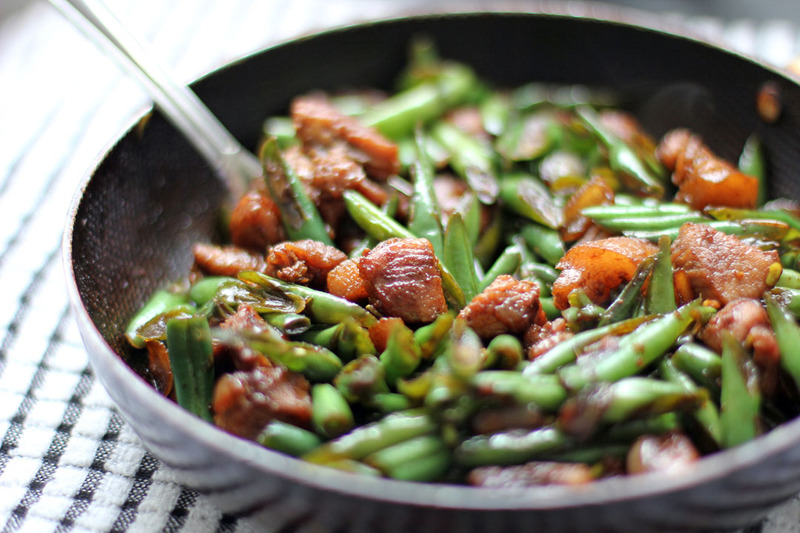 Add French beans and stir fry for 2 minutes. Add soy sauce, brown sugar mix for 1 more minute and season with freshly ground black pepper.